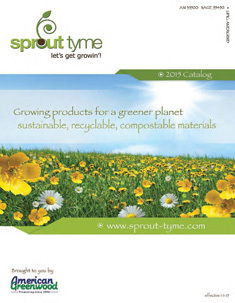 Sprout Tyme is pleased and honored to offer new SeedBallz®. SeedBallz® are a unique and special success story. Inspired by the teachings of author Masanobu Fukuoka and his approach to natural farming, a special blend of red clay, rich humus and a whole package of flower seeds were used to create SeedBallz®. A partnership was then formed with people with developmental disabilities to hand-roll this unique garden product in the U.S.A. The result of these shared efforts is a new way to grow clusters of flowers and herbs while creating meaningful, therapeutic work for valuable members of our community. SeedBallz® are perfect for outdoor patio pots and garden beds. Plant in memory and honor to celebrate life and survivorship. Choose from the following varieties: Hummingbird/Butterfly Mix, Forget-Me-Not, Edible Flower Mix, Seeds of Hope Mix, Basil or Cilantro. The Seeds of Hope Mix produces clusters of pink flowers. 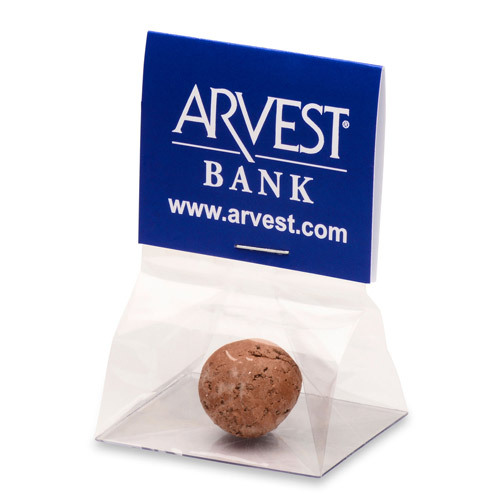 Full color imprint on SeedBallz® header (front and back) with cello packet containing one or three SeedBallz®. Planting instructions printed inside header.